It’s National Women’s Health Week—the perfect time to take control of your health. Did you know that over 300,000 women will be diagnosed with breast cancer in 2018? Or, that over 75% of these new diagnoses will be invasive? 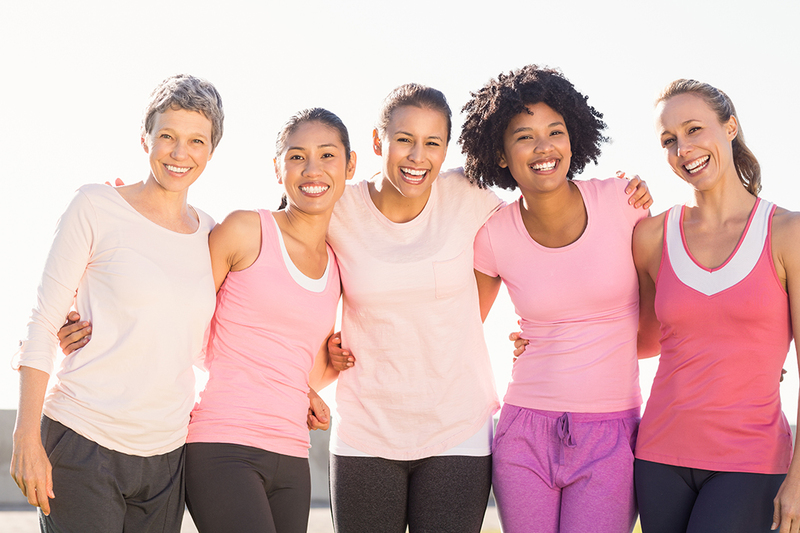 The U.S. Department of Health and Human Services’ Office on Women’s Health created National Women’s Health Week to empower women to make health a priority so that the prevalence of diseases like cancer can be minimized. Are you fully in charge of your own health? Do you live with day-to-day vitality? If not, it may be time for some introspective research and priority setting. In today’s busy world it can be a major challenge to make it to the doctor’s office. Especially when nothing feel’s “wrong.” But, try to keep in mind how crucial preventative screenings can be. It is estimated that preventative screenings reduce women’s breast cancer risk by 15%. Additionally, 70% of cervical cancers are caused by the HPV virus, which can be screened for and treated. HPV vaccines can also be administered. Taking the time to go to the doctor’s office can help you rest assured that you’re in good-health. It can also help you prove to yourself that you value your health and are willing to prioritize it. Exercise is a sure-fire way to reduce general cancer risk. Moderate exercise increases lymph circulation, improves white blood cell status, reduces stress hormones and improves metabolism. Exercise literally allows for oxygen, one of the primary compounds for energy production, to be more easily integrated into and dispersed throughout the body. Exercise even changes the metabolic coherence within reproductive tissues. It increases longevity, improves mood and enhances sleep quality. If you haven’t adopted a healthy exercise regimen, it may be time to consider doing so. Also make sure to be mindful of your energy capacity when starting an exercise program. Research shows that exercise intensity for women varies throughout their menstrual cycles. The science behind this, and resulting advice, can get complicated quickly. But, as a general rule, it’s advised to be aware of where your body is at and acknowledge that your peak performance will fluctuate throughout the month. By respecting your energy status, you’ll be more likely to experience the benefits of exercise without any unnecessary stress. Nourishment is another major ingredient in women’s health. Nourishment directly improves physical health but can also enhance self-compassion, creativity and mindfulness within life. When sufficient time and energy are dedicated to dietary lifestyle, it can greatly improve health, reduce cancer-risk and benefit overall well-being. On the contrary, when diet is based on convenience or habit, eating can become erratic, mindless, shame-inducing and, even, cancer-causing. When fruits and vegetables make up the bulk of one’s diet, and red-meat and alcohol are sparsely consumed, cancer risk will be greatly minimized. Finding self-driven motivation to eat healthy and honor your body is a major step in self-health empowerment. As such, it can be helpful for both physical and mental health. Let National Women’s Health Week help bring light to the importance of women’s health across this country.